Owner David Martinez has watched the growth of the downtown Pittsburgh local dining scene for many years and no doubt the revitalization of Market Square was one of the catalysts of the downtown restaurant boom. 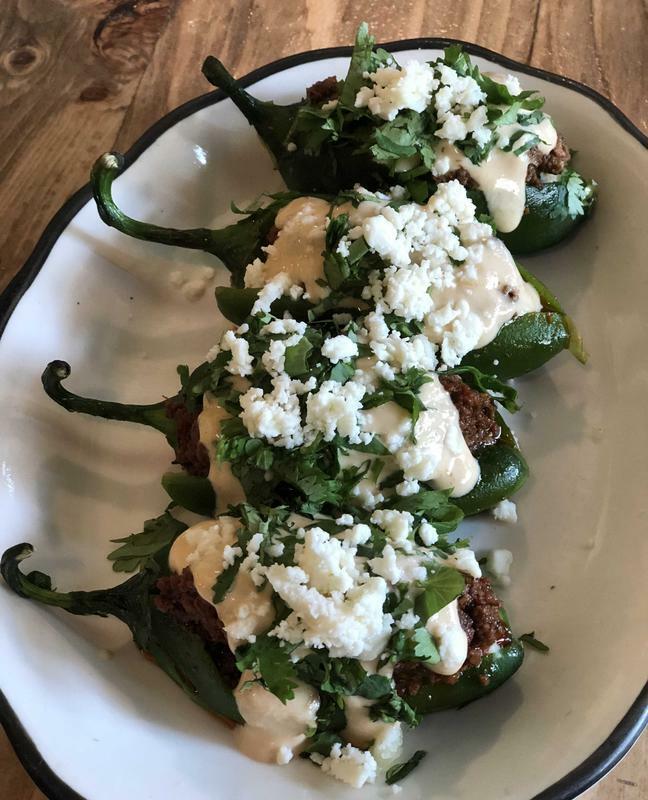 Las Velas takes their food seriously and that fact is evident in every plate (and glass! ).This is definitely not your typical Mexican restaurant! David has created a dining destination packed with soul and provides a complete representation of the dining traditions of Mexico. Las Velas incorporates the same soul featured in the menu into their bar offerings as well. The bar features more than 180 tequilas, so of course we have to start there. The selection is vast and authentic and the options are truly endless. We started with a few including the Banderita which consists of Silver Tequila, Lime Juice and house made sangria. Another popular item from the bar is the Coronita Bomb, a margarita served with an upside down Corona! Click Here to View the Full Las Velas Bar Menu! The mother of all, in my opinion, is the traditional mezcal that is served with crickets and ground worm salt with orange. 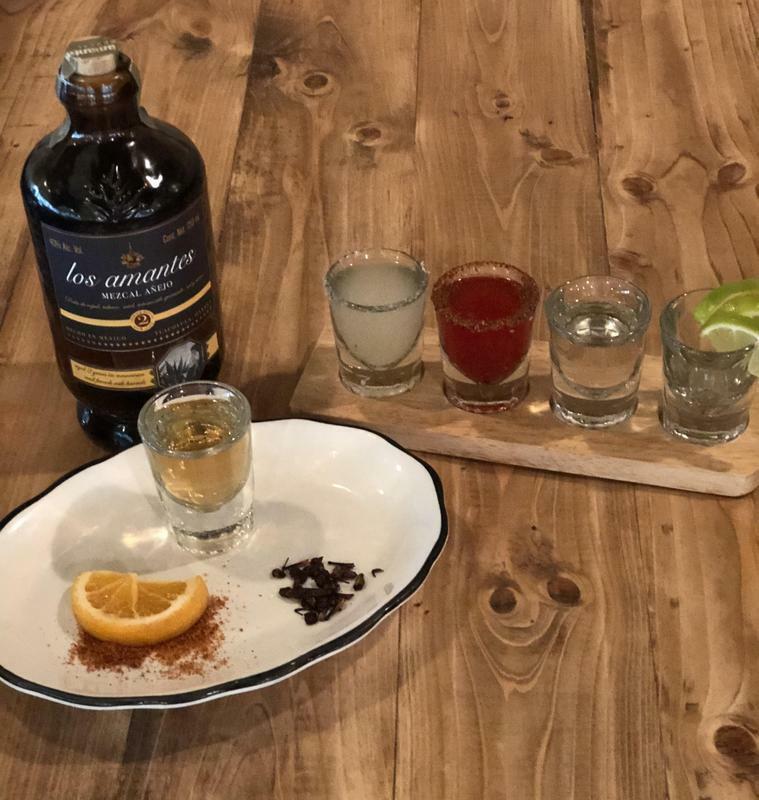 This is the way mescal is traditionally served in Mexico and now you can experience this in downtown Pittsburgh! I must also add that the Michelada, a spicy beer with tomato sauce, lime and spicy salt is something to behold. Served in frosty mug, this is one of the most unique ways to serve cerveza I’ve ever seen. For appetizers we started with the Cocktail del Cejas. 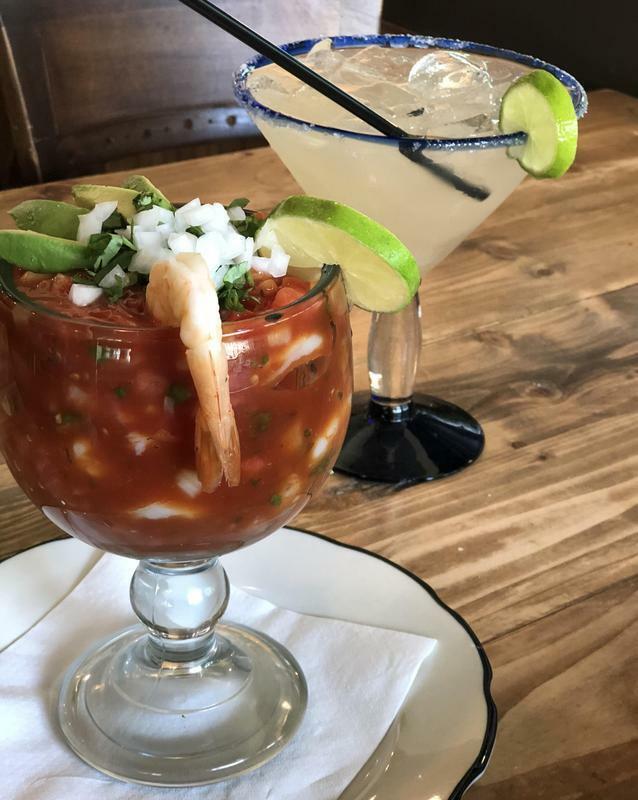 This enhanced shrimp cocktail is served in huge glass filled with fresh Mexican cocktail sauce consisting of cilantro, avocado and lime. Click Here to View the Full Las Velas Lunch Menu! Click Here to View the Full Las Velas Dinner Menu! Both were home runs! We loved it! Wanted more, but knew we had to wait for the entrees. 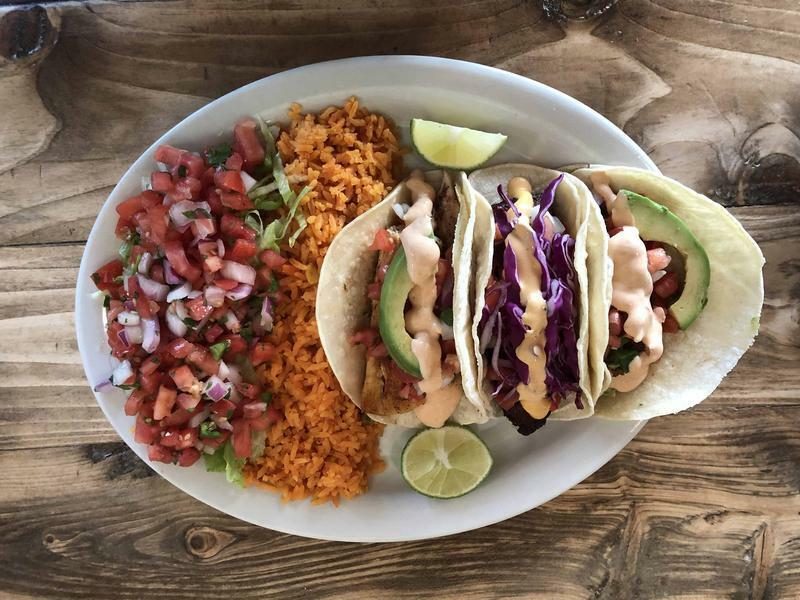 My partner had the three tacos with freshly breaded shrimp, freshly breaded tilapia and grilled mahi-mahi. All of the tacos were excellent and not a bite was left. I had the Las Velas lunch combo featuring a burrito, enchilada and a steak taco (pictured at the top of this page). Served with rice and beans, this dish was a perfect lunch and expertly prepared. 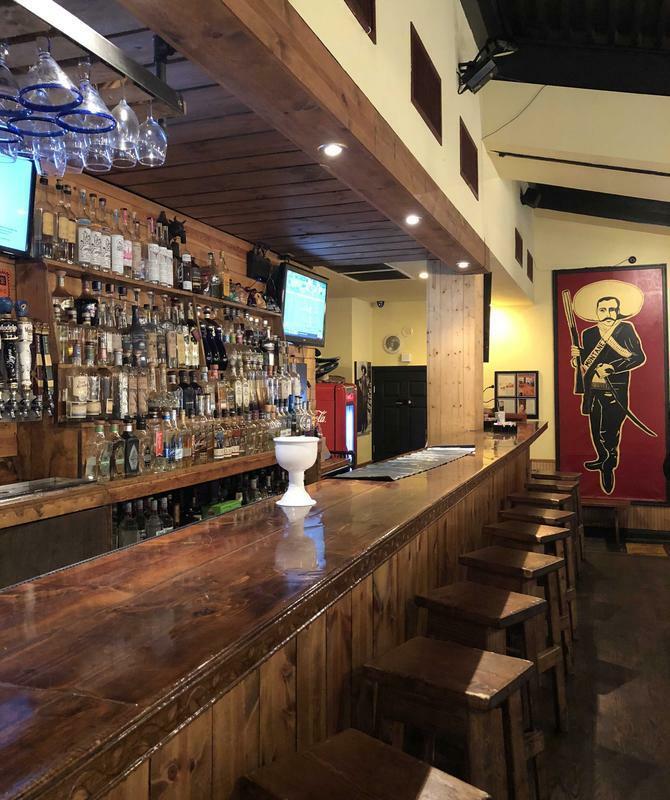 The staff at Las Velas is extremely attentive and can answer any questions about the menu and the bar items. 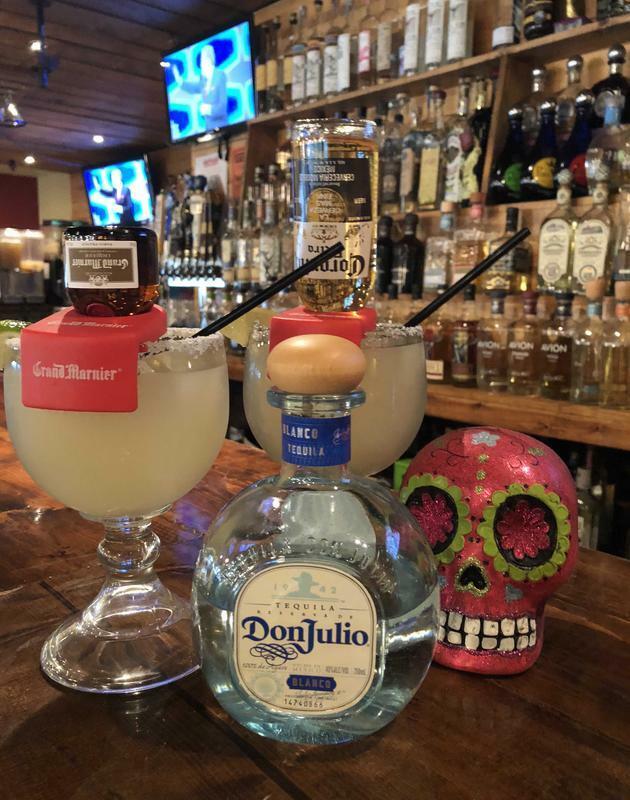 They have in-depth knowledge of the many types of tequila they serve and are happy to assist in expanding your horizons in that regard. The dining room is roomy and comfy and the view takes the meal over the top. Being in Market Square is always exciting and the people watching can keep you busy for hours! Las Velas delivers an authentic Mexican experience in the heart of historic downtown Pittsburgh in Market . It’s almost like being on vacation without leaving home! 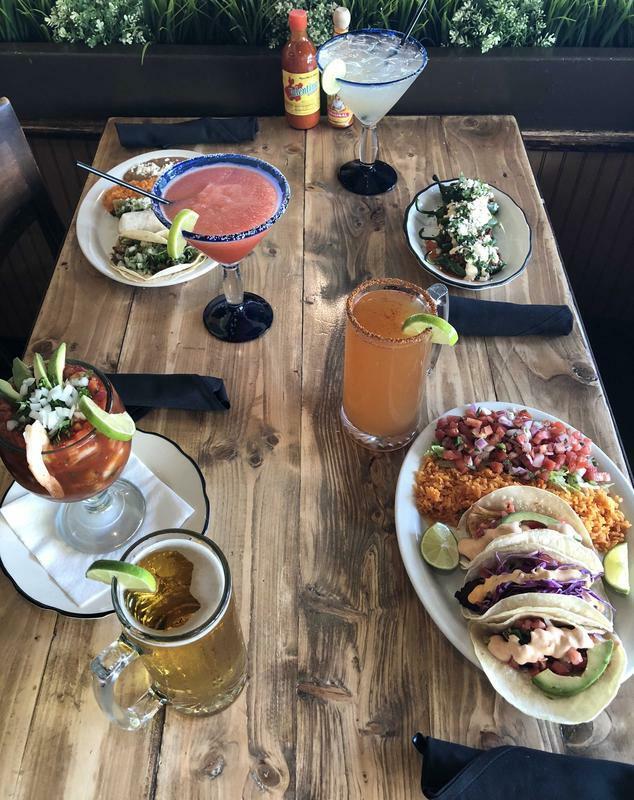 Click Here to Contact Las Velas Mexican Restaurant in Pittsburgh!